We, the Southwestern Arkansas Westsouthern Protestant Gun Toters of America, figured we’ll meet them halfway and start recycling the things we use most. Every month, we’ll drive over to each and every 16 of you—can’t trust that big government Post Office—and drop off the best tips on how to recycle common everyday items. 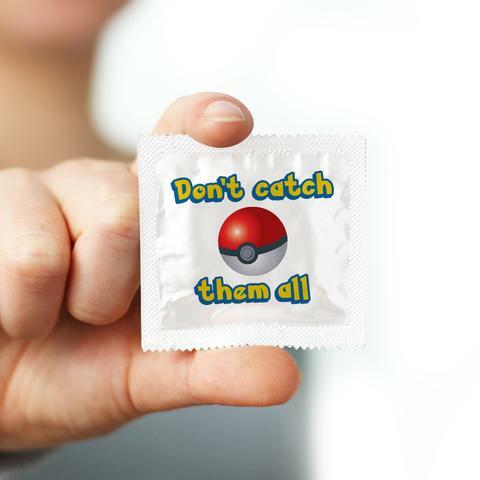 This month starts with: condoms! Is your son-brother crying off the RV counter? Just reach into the bedroom spittoon real quick, pull out that rubber latex, and go at it. Bonus points if you can make more than an armadillo, the breakfast of champions and the southwest. In a cinch and need to decorate the top of a Moonpie for your grandmamma’s 40th birthday? Poke a hole in that sucker and squirt some out. It adds a whole new meaning to cream puff. Just store those filled suckers in the freezer, wrap em around the 40s of your choice, and enjoy a frozen bottom with a non-slip grip. This one needs no explanation because there’s only one meaning here. ‘Member last year at the Hicksville State Fair, the poor guy ran out of balloons at that shootin game? That’s what you get for coming to the country capital of marksmen baebee. Me and the guys were over there yonder and went behind the benches, found a couple of these guys, blew in them, tied em up against the wall, and started shooting. Man you shoulda seen the pop! The same fair ran out of fish bags, so we just reached behind the dumpster some more and wrapped those little fish in them. Ran out of space in the dashboard mini-fridge but still need a “stuck at the railroad crossing” sip? Fill em up with the good stuff and sip on it every time you have to wait for Bob on the tractor to move. If God Almighty gave us the bread of life and wine in the church, then he obviously wants us to store holy water right next to our baby makers. Well among us, only Rick has any hair left, but if he ever needs it, he can spike that hair up and keep the dirt outta his eyes. They’re a good source of protein. How you supposed to store your 40s in the cup holders when you got those damn toll coins in there? Wrap em up in this handy lil bag and just dump it into the collector while enjoying your morning drive drinks. Early in the morning before the dew sets in, it’s damn cold outside. Nothing screams hot like condoms right? Put two of those things around your ears, another around your other head, and get on with it. Ever start using those phone devices with your soot/tobacci covered fingers and found it does nothing and leaves the screen ugly? Get one of those long ones I know you use buddy haha and cut some holes the size of your fingers in them. Now TAP AWAY. Ever since Jerry took out my last front tooth (because of Larry’s sugar packets), I need to carry these fake teeth around everywhere. I’m always forgetting them but it’s easier to carry them around in this plastic bag. Previous What Happens at a White Supremacist Rally?